The Department of Justice (DOJ) is cracking down on grant funding for so-called "sanctuary cities," which are cities that choose not to cooperate with federal immigration officials. From now on, the DOJ will refuse to give funding for Edward Byrne Memorial Justice Assistance Grant Programs -- a key crime-fighting source for local law enforcement agencies -- to cities that refuse to partner with federal law enforcement officials in removing criminal illegal immigrants. Attorney General Jeff Sessions made the announcement as he faces intense public criticism from President Trump. 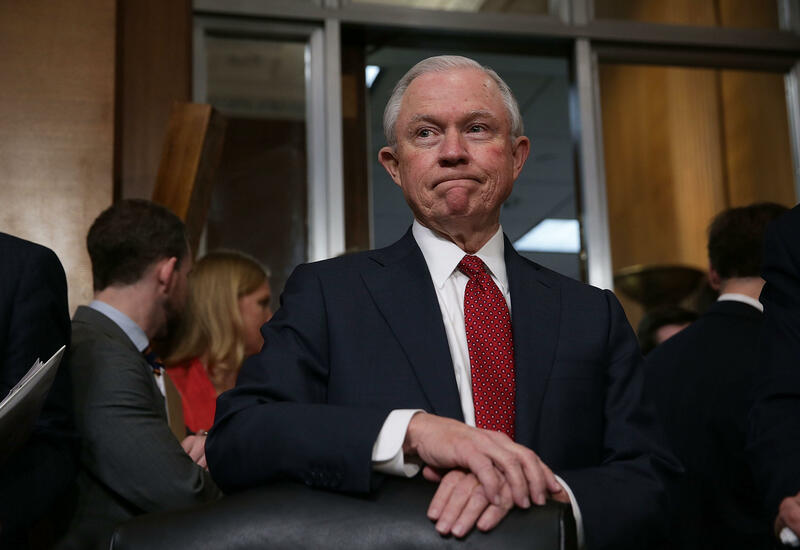 Punishing sanctuary cities was a central theme of Mr. Trump's campaign, and Sessions has pledged to take a tough stance on crime and illegal immigration. Sessions said cities that refuse to cooperate and allow Immigration and Customs Enforcement (ICE) officials into their facilities "encourage illegal immigration and even human trafficking." "So-called 'sanctuary' policies make all of us less safe because they intentionally undermine our laws and protect illegal aliens who have committed crimes," Sessions said in a DOJ statement. "These policies also encourage illegal immigration and even human trafficking by perpetuating the lie that in certain cities, illegal aliens can live outside the law. This can have tragic consequences, like the 10 deaths we saw in San Antonio this weekend." "As part of accomplishing the Department of Justice's top priority of reducing violent crime, we must encourage these 'sanctuary' jurisdictions to change their policies and partner with federal law enforcement to remove criminals," Sessions' statement continued. "From now on, the Department will only provide Byrne JAG grants to cities and states that comply with federal law, allow federal immigration access to detention facilities, and provide 48 hours notice before they release an illegal alien wanted by federal authorities." Mr. Trump on Tuesday unleashed his latest criticisms of his Attorney General and longtime supporter, saying Sessions has been "weak" on prosecuting Hillary Clinton. However, Mr. Trump said after the election said he didn't want to pursue charges against the former secretary of state. Sessions, who has said he will stay on as long as it is "appropriate," continued about his work at DOJ on Tuesday.